I feel like I haven't done a beauty review on my blog in a while which Is definitely something I want to start doing more of and it's the kind of blog posts I enjoy reading, especially if I am in search of something in particular. 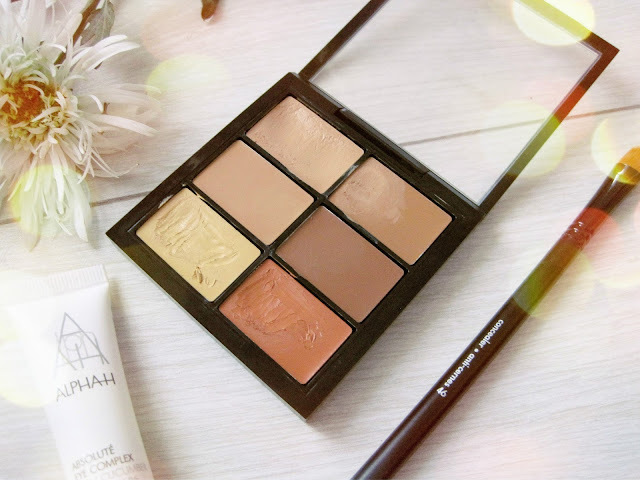 This week I have chosen to share with you my thoughts on one of my end of last year purchases, Mac PRO Conceal and Correct Palette in Medium Deep. I had been on the hunt for an under eye corrector and initially wanted to buy the NYX corrector which just so happens to be sold out at "every" Sephora in KL(typical) and then I was with a friend in Mac when we both came across this palette. All shades have a creamy consistency and very easy to apply. 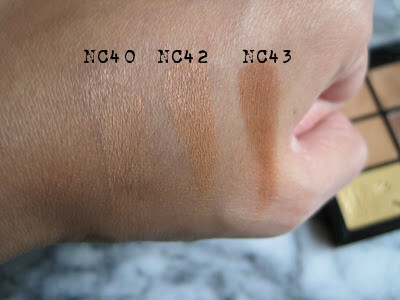 I have found using my fingers much easier to apply the correcter on to my under eye area and I use a concealer brush (Sephora 146) to apply the concealer shade (NC40 mixed with a little of NC42) on top. I did discover when I was in the UK over the Christmas holidays I needed to put a smidge of corrector on my hand first (as seen above) to warm it up before applying to my under eye area which is where I wanted to cover up the darkness that haunts me....!! 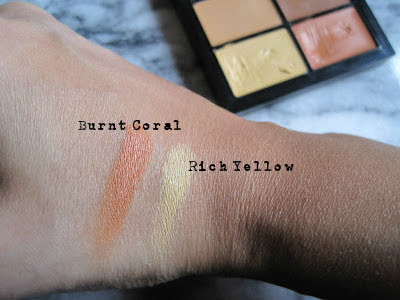 The Rich Yellow shade I have been using on the side of my nose to correct the redness and the darker shade NC43 I have only managed to use once for contouring......which I am absolutely horrendous at and have no idea what I am doing....so I could not tell you if it looked good or not....I'm learning out here. The pros; So all in all I do think it was a good purchase. It is easy to pack away with you on your travels and saves the hassle of having to carry several products which is always a plus for me, the shade's are rich in pigment and like I said it is easy to apply. The cons; One of the only downsides to this product and one that is hard to avoid with most concealers, is that is does crease "a lot", therefore I have found I do need to use a setting powder literally straight after the concealer application which does help mostly with those pesky creases. Oh and one other thing I nearly forgot, I do have to wait for the correcter to dry before applying the concealer because if you don't you will end up with the orange tone coming through and that is not a cute look! I hope you have found this review useful and I would be greatly appreciative if you could leave some feedback below on how you have found this post or if you have any suggestions on the way I have presented it, I would love to hear your thoughts and if you have any other questions about this product again please feel free to comment below. There are 4 MAC PRO Conceal and Correct Palettes in different shade's dependant on your skin tone.